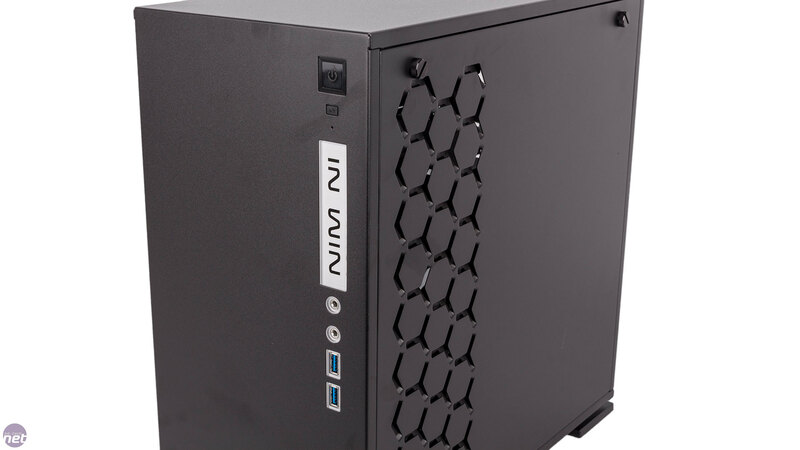 Shown off at CES earlier this year, the In Win 301 is a reduced-size, small form factor variant of the Taiwanese firm's popular 303 chassis. 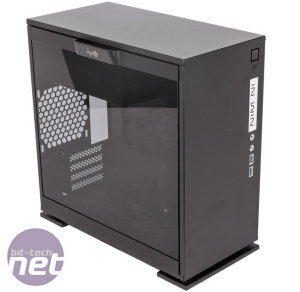 Catering to micro-ATX and mini-ITX users, it retains a tower design but has a considerably smaller footprint than your average mid-tower or full-tower case, but as most of you will know that's not really a limitation with regards to the power of hardware you can cram inside. The 301 gives off great first impressions with its striking design. 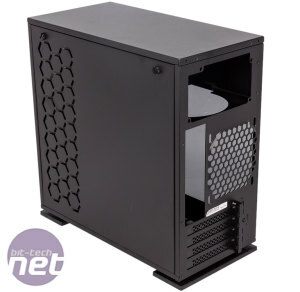 Matt black, 1.2mm SECC steel forms the bulk of the chassis (a white version is available too), and it looks great with its clean-cut edges and sharp corners. It's also strong, and rubber feet give it good grip. 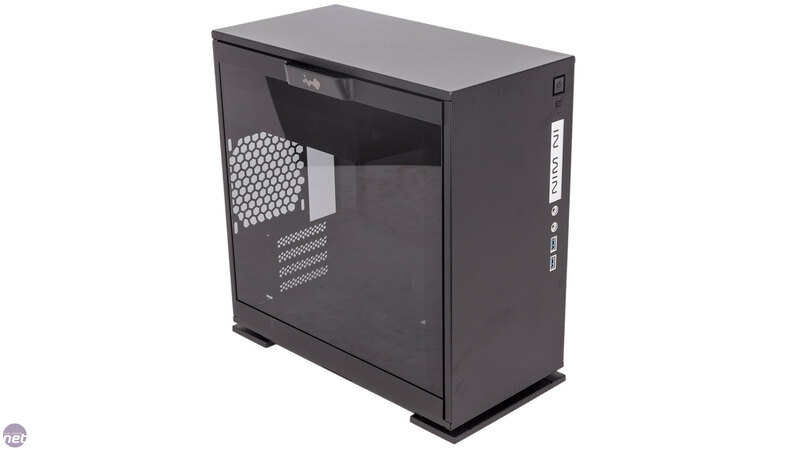 It wins our favour too with its left side panel, which is hewn from 3mm tinted tempered glass and has a simple latch up top for quick release and easy access to the interior. 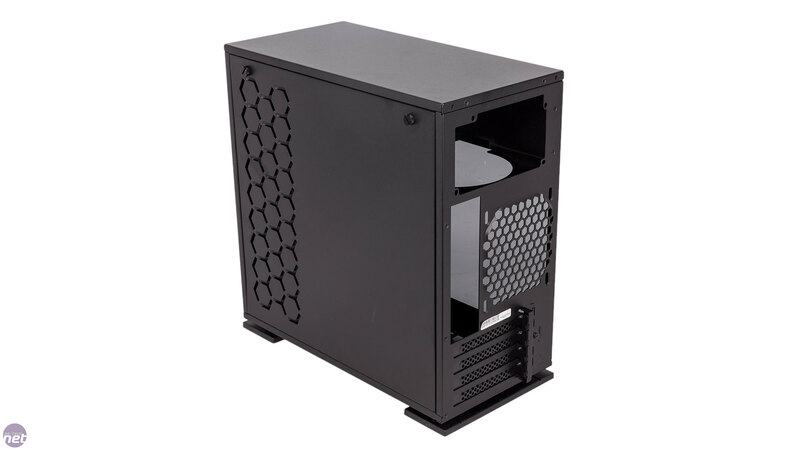 Overall, build quality is very good, although you'd hope so since the 301 does lean towards the expensive side for a case its size, and it manages to maintain clean, minimalist looks without being boring. 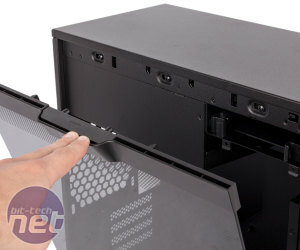 There are few features to speak of on the outer panels. The roof is flat and featureless, although the right panel does have some hex-shaped cutouts adding some visual interest and ventilation. Meanwhile, the front plays host to the usual buttons and ports. 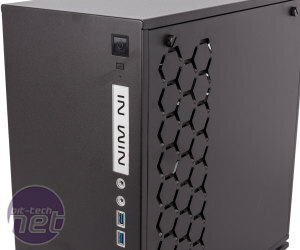 There's also an In Win logo here, and this, the USB ports, and the audio jacks all have neat, white surrounds that are backlit by red LEDs (blue with the white version) when the system is on – it looks rather swish, we have to say. 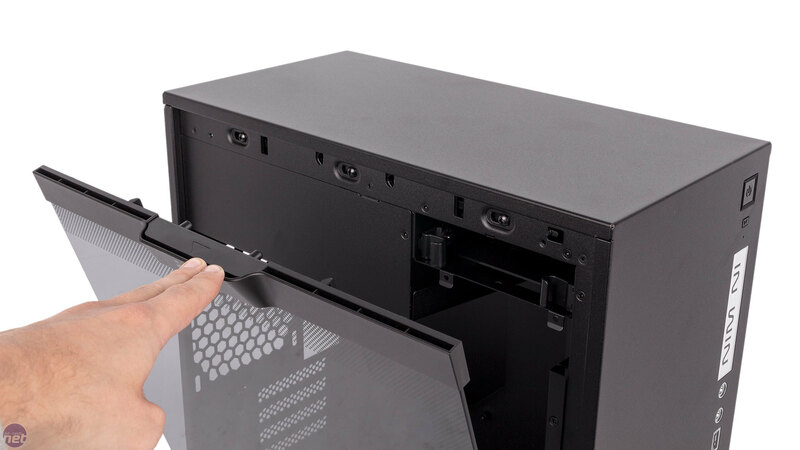 The rear of the 301 gives away the layout whereby the PSU goes above the motherboard instead of below it; this also means it will act as an exhaust for the case, since the PSU fan will be right above the CPU cooler. 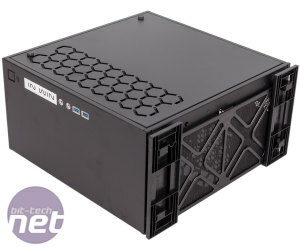 Also of note is the fact the 301 only has four expansion slots, so dual-slot cards in the bottom slot of a micro-ATX motherboard aren't possible here. 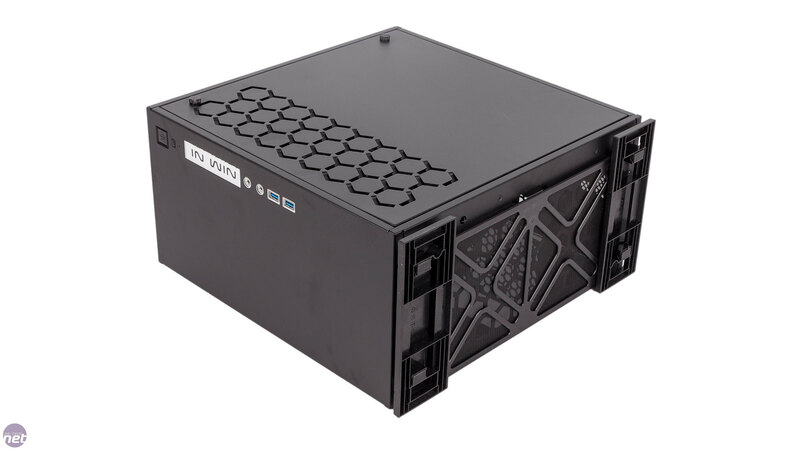 Something you may have gleaned is that the 301 is not a high-airflow chassis. 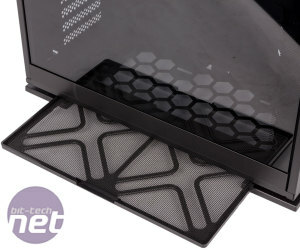 In fact, it's supplied with a grand total of zero fans, so most people will probably want to factor in the cost of some 120mm fans, as five are supported in total: two in the front, two in the bottom, and one at the rear. 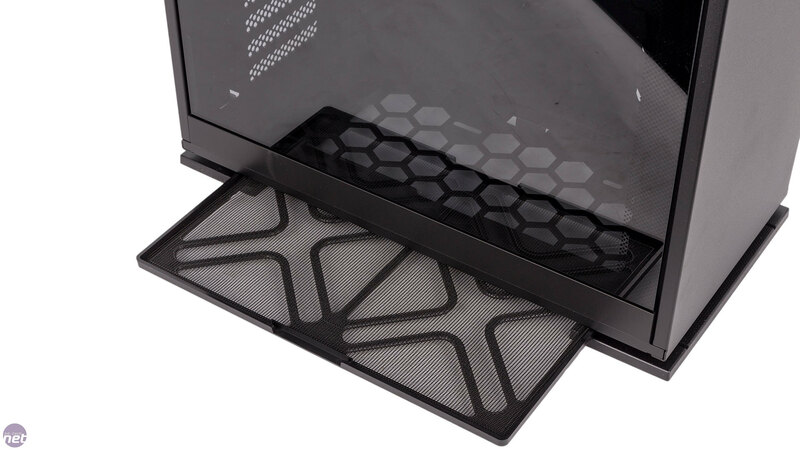 The front fans will be limited in performance thanks to the solid front panel, but the bottom is very porous and thankfully is also protected by a full-length dust filter. This pulls out to the side along some well designed rails, although clearance is a bit limited.